It is that time of year when we open our doors to the public for some fun! Of course Kevin will give demos of the arches. 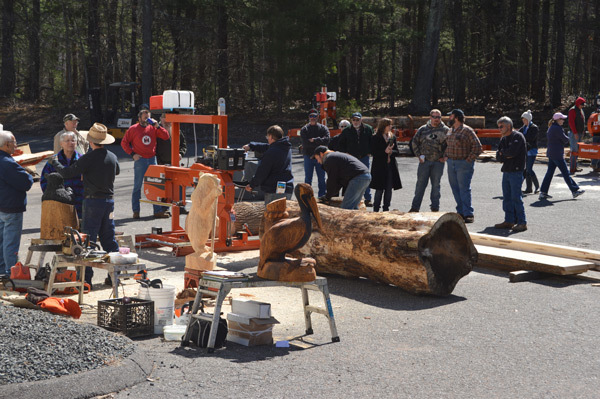 Wood-Mizer and OESCO will be demonstrating their equipment and ours as they turn logs into lumber and firewood. OESCO will be running a Tajfun processor. Wood-Mizer will have several different size mills. 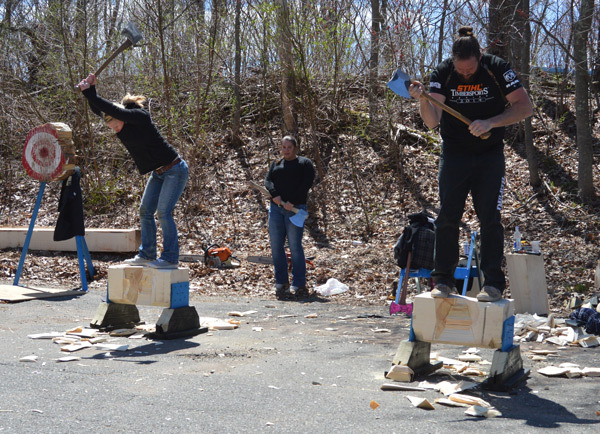 Come and talk to Cableworks, City Bench and Parkerville Wood Products, Inc.
Axewomen will be here wielding their axes. 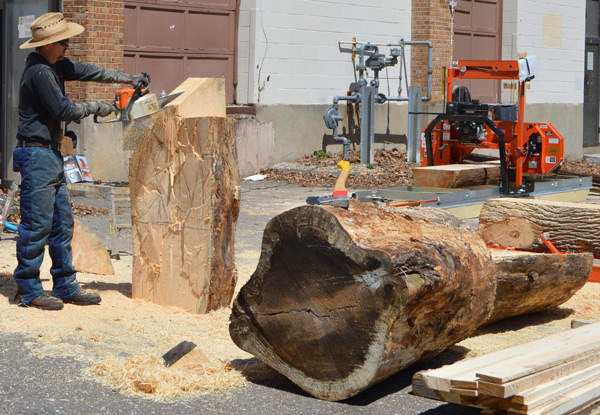 Chainsaw Carver Kris Connors will be here. We attended 2 years ago, had a blast. 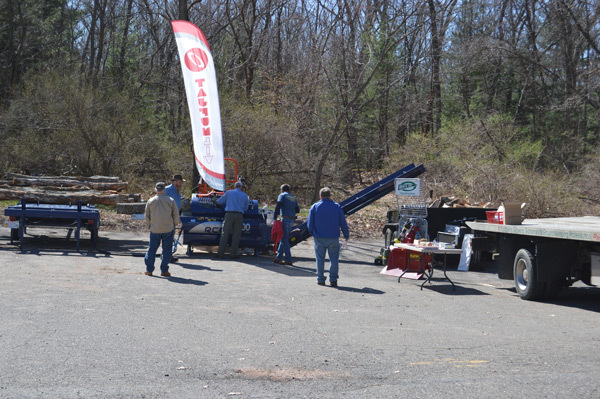 Seeing many Woodmizer mills in action was very cool. Guys were receptive to any questions also. Axe Women and their professional show was well attended. Kevin and Tammy were busy hosts, but spent time with many people answering questions and offering demos of their wares. Well, will not be able to make it up for that. I did receive gift from wife, son and DIL with your address on it! They ordered a 36" cant hook and some Blue Creeper! This year Alissa from Axewomen will not have the log rolling tank with her but we will have a different log rolling this year. When looking for a food vendor we found people with portable pizza ovens, bbq pits, firetrucks and all kinds of gimmicks. 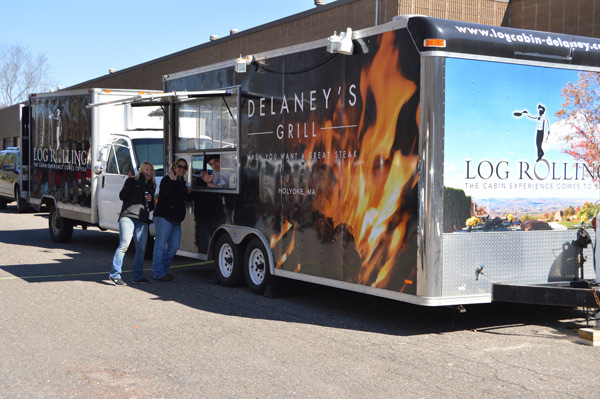 We knew we found the right one when we found Log Rolling Catering. Named for their home restaurant which resides in a log cabin. So how did the open house go? Sorry I have been playing catch up for a couple of days. The weather was good and we had a nice crowd of people. Wood-Mizer had 5 mills here and OESCO brought a Tajfun firewood processor. Here is our welder Zac explaining the benefits of the scissor jack on the ATV trailer while Kevin listens in. This year we had a chainsaw carver. He used only 1/4 of that big log to create this pelican. And of course the Axe Women were here. 6 girls attended and they brought a guest with them. 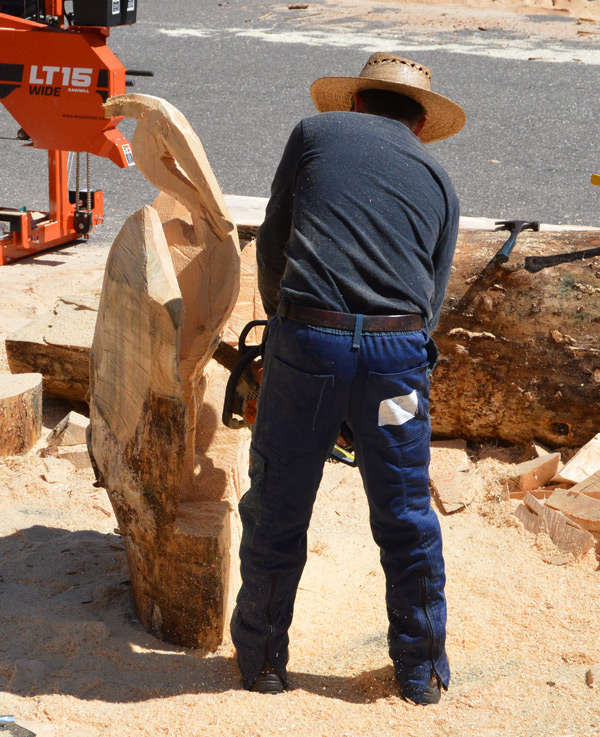 Chris competes in Stihl Timbersports competitions. I always think the girls are so powerful when they chop. He chopped against a tag team of 4 girls and gave them a huge head start and he still won. Truly amazing! That is Jenny chopping next to him and Tracie watching. Alissa ran her old hot saw. She certainly made some sawdust! Alissa spent some time axe throwing. Girls chopping. Laurette taking pics. Michelle in orange, Tracie in center and Jenny on the right. Last year it was cold and dreary and the water in the log rolling tank was freezing cold. This year the girls were much happier about log rolling. So that is not three girls in the first sixth pic? Thanks, Got it now. The hair do through me off a bit.. So that is not three girls in the first pic? nope, it is hard to see who is who in the action shots as they usually have their heads down. Chris is on the right, he is the one with the massive arms, full beard and mustache. Some how I managed to miss Laurette and her pink ax. I also didn't get a pic of the new girl. They are training a new girl named Michele. So now there are two girls with the same name on the team. Maybe one of the axewomen who are also members can post. 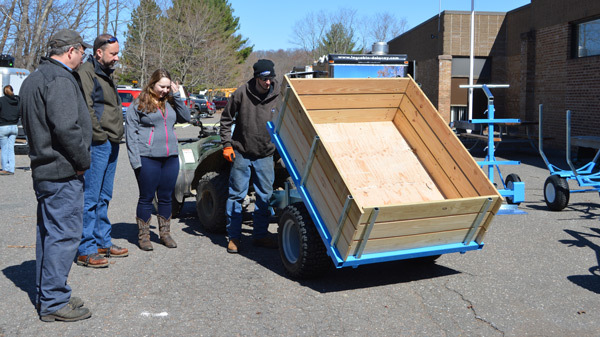 Also in attendance was Walter from Sawmill & Woodlot Magazine, students from UConn's College of Ag and Natural Resources, Parkerville Wood Products and Cableworks all with tables set up inside. yes they were all set up on tables made with The Right Leg Co. leg's and tops Kevin has been producing for the event. I'll post the tables on the other thread. Page created in 1.159 seconds with 40 queries.